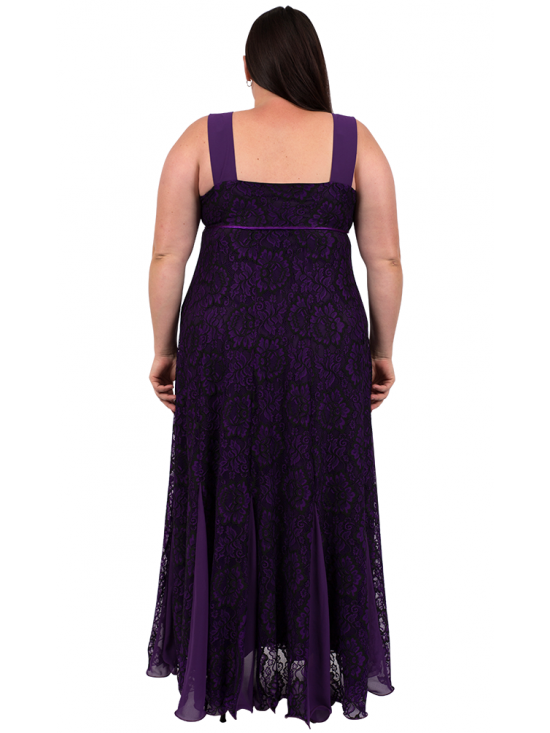 Stunning, full length sleeveless, purple and black lace plus size dress with 5.5cm wide straps and a long zip in the side, under the arm. Lined through the body, in a soft contrasting purple polyester, it features high waist with a contrasting purple satin trim and a full-length 8 gore skirt with kick pleats in polyester georgette for a gorgeous sweep through the hem. An elegant look for a formal occasion, finish this look with the matching Purple Night Lace Jacket. Fabric: 50% Nylon, 40% Polyester, 10% Spandex. 100% Polyester lining.